Mr. Williams joined us as an associate in the Fall of 2017. Corey is licensed in Colorado and California. Courtland received his Bachelor of Arts Degree in both History and Political Science and a Minor in Philosophy from the University of San Diego. 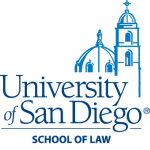 After taking a year off of school to work as a document clerk for a prominent downtown San Diego law firm, Courtland attended the University of San Diego School of Law where he received his Juris Doctor. 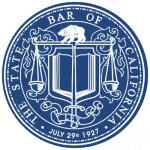 Courtland passed the California Bar Exam and practiced in California until 2014, when he moved to Colorado, where he passed to Colorado Bar Exam in order to be closer to family. Honesty, Compassion, and Advocacy. First, I believe in being up front with my clients to ensure they understand the reality of the situation. Second, I empathize with the client’s situation, pay attention to their wants and needs from my representation while still maintaining my honest assessment of their case. Finally, I am an advocate for my clients. At the end of the day, this is the client’s case and my job is to zealously represent them using my knowledge and expertise and advising them on the best way to achieve their goals through legal representation. By being an honest, compassionate advocate for my clients, they are satisfied with me both as their legal representative and the person assisting them through a difficult time. 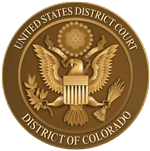 Corey is a member of the California State Bar, Colorado State Bar, US District Court of Colorado, and Colorado Bar Association. Courtland is a frequent volunteer at the Denver Rescue Mission via Justice And Mercy Legal Aid Clinic (JAMLAC) giving individuals in the program free legal advice. Contact Attorney Williams and the rest of our team at Modern Family Law for a free case evaluation.